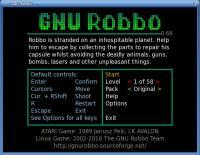 Description: GnuRobbo - maze game. 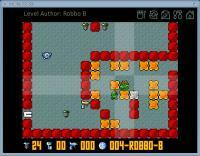 Robbo for the Atari XE/XL which was distributed by LK Avalon in 1989.
level. After the screws are collected he can go to the level exit. doors and keys, dangerous birds and bears, guns with bullets and bombs. hotkey combo Alt-enter to toggle fullscreen mode.